Every time addictive traffic dodger Crossy Road is updated, it receives a handful of secret characters for you to unlock. 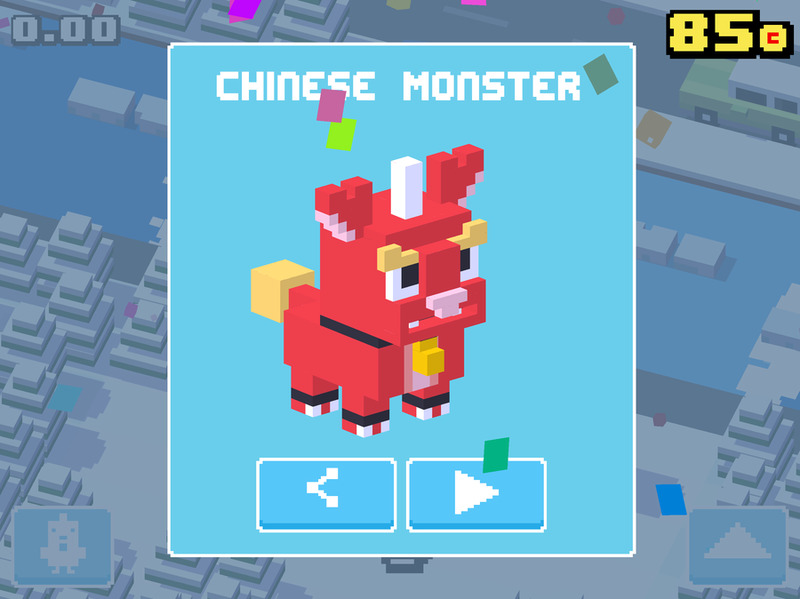 From the Loch Ness monster to the Chinese god of wealth to a British phone box to the game's composer, Crossy Road is now jam packed with hidden hoppers. Luckily for you, we know how to unlock every single one, and we'll share the secrets with you. 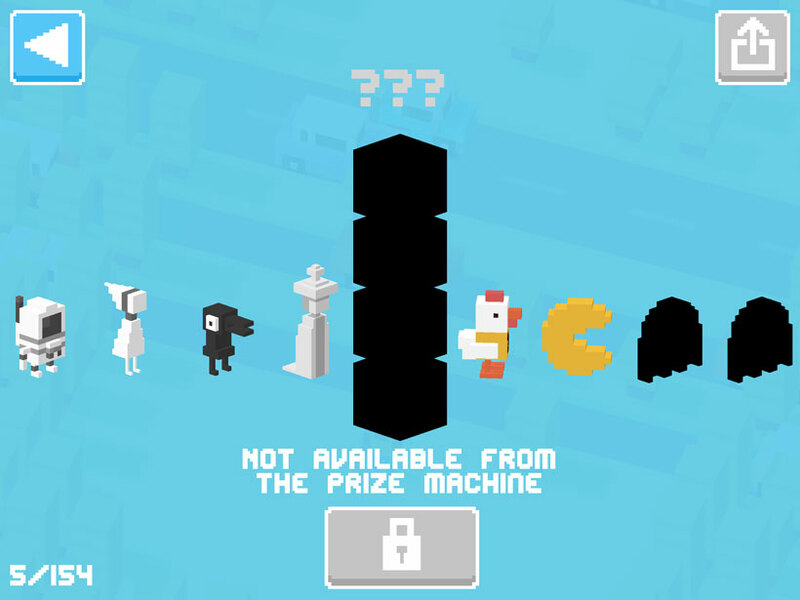 Here's how to get all the mystery characters in Crossy Road, as of January 2019. 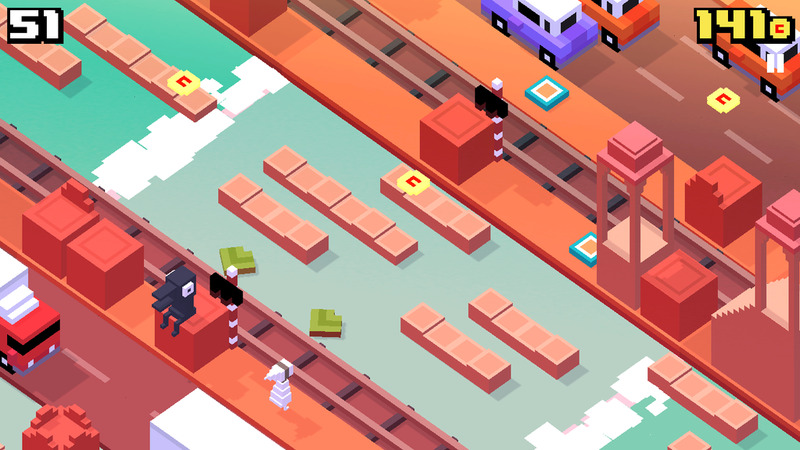 There are loads of characters to collect in Crossy Road, and here we've listed the methods for collecting all of the mystery mascots that you can collect. These mascots aren't earned from mystery boxes or collecting tokens, instead they are all unlocked through unique means, which are often strange and confusing. Well, that's exactly why we've written a guide for it, isn't it? We're breaking it down, step by step, making it as simple as possible, and organising them into the categories that the game now organises them in. You might find that other guides are a bit messy, but this one is nice and tidy and designed to be user friendly. If you're looking for the methodology for a certain character, this is the best way to find each. After all, no other guide out there will actually tell you which characters are in which categories at a glance. Aren't we nice? There are characters from games such as Pac-Man, Monument Valley, Katamari Damacy and beyond. Unlocking them all will be a challenge, but with this guide you'll find it to be a much simpler task. 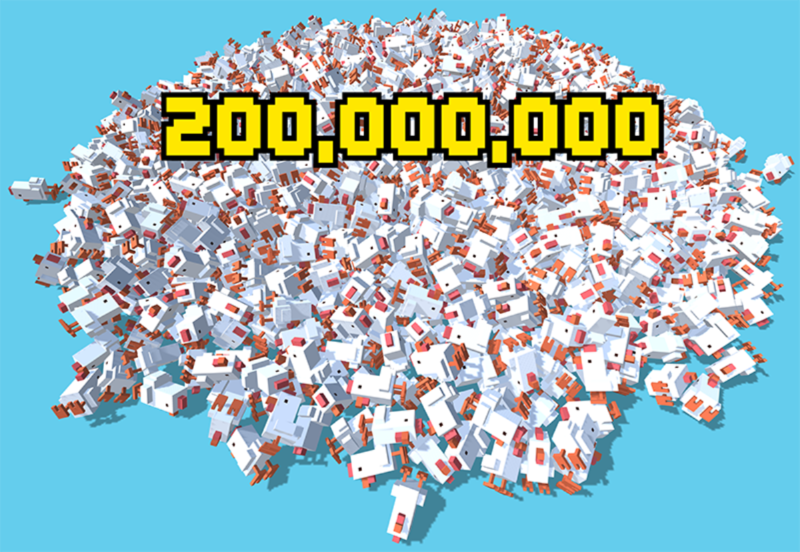 Take a look below for all of the characters in Crossy Road. 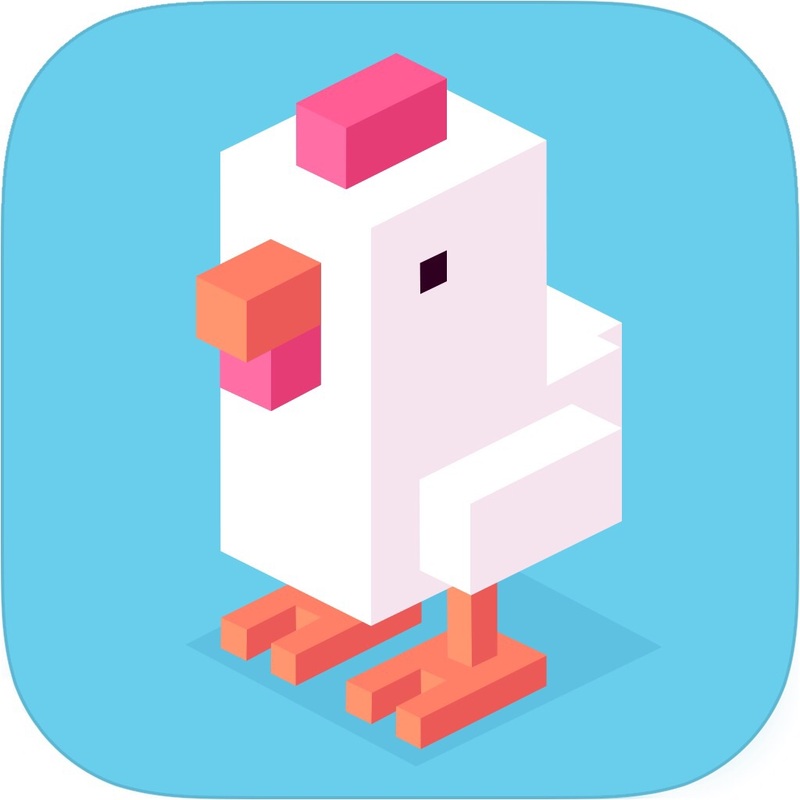 And no, not Disney Crossy Road, just normal Crossy Road. That's a task for another day, deary me. Getting stuck in your other favourite mobile games? Be sure to check out our other guides for the latest and greatest titles! 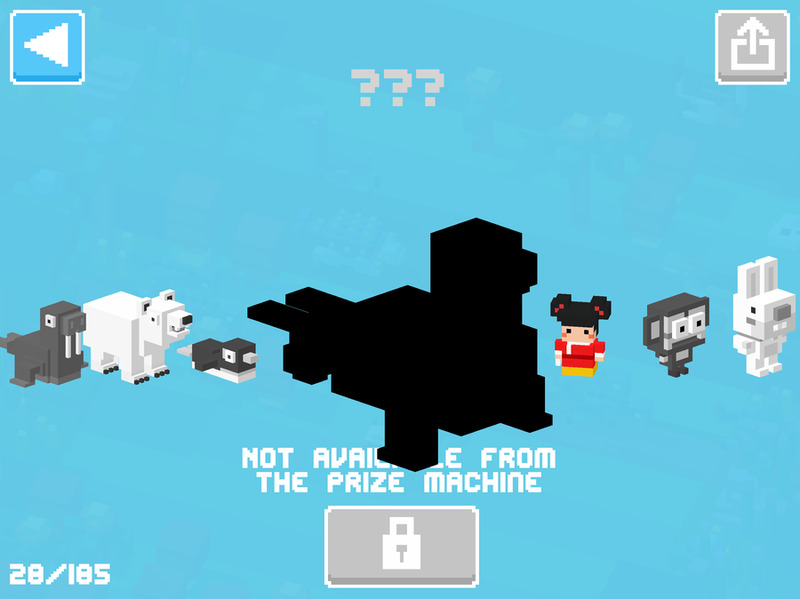 Here you'll find all of the mystery mascots from the Original, Friends of, Cats, Dogs and People categories in Crossy Road. Hipster Whale Hipster Whale will be found in a river instead of a log. Jump on him. Totem Play as a Monument Valley character, and find Totem in a river instead of a log. Purple Bloop You need to use the Grablin to unlock this character. As you tap to cross the road, you’ll also be attacking Crossy Road characters in a little clicker RPG at the top of the screen. If you manage to defeat a character higher than level 35, you’ll unlock the Purple Bloop at the end of your run. Cat Lady Play as a cat and eat 9 yellow fish which appear on grass. Best in Show Using a dog, eat 15 bowls of dog food. Andy Sum Using Mallard, score 85% or greater than your current high score, until you're told "Great Score". Ben Weatherall Using The Dark Lord, score 85% or greater than your current high score, until you're told "Great Score". Matt Hall Using Lucky Cat, score 85% or greater than your current high score, until you're told "Great Score". Ace Playing as Rocky, collect 50 burgers and end with a "Great Score". Michael Boom End your run by crashing into the rocket truck - literally a truck with a rocket on the back. Here's all of the mystery mascots from the New Zealand, Australia, China, UK & Ireland, Korea and Brazil categories in Crossy Road. Halfling Using a New Zealand character, collect multiple gold rings across multiple runs - at least 8. Drop Bear As an Australian character, find the Drop Bear in a tree, and go close to it. This will kill you, end your run, and unlock the Drop Bear. Crab Side step at least 50 times and end with a score over 40. Cai Shen To get this greedy fellow you need to pick up the little red envelopes that are strewn about the world, while playing as the Fortune Chicken. You have to get 20 of these things. But don't worry - you don't need to get them all in one go. Chinese Monster To unlock Chinese Monster you first have to buy or unlock the New Year's Doll that was added on the 2016 Psy Daddy update. Then, you must chase down and catch the Chinese Monster that appears. When you grab it, it's yours. Phone Box Using a British character, get over 100 points and you should find the phone box in a clearing. Nessie Using a British character, jump on Nessie while he is swimming in a river. Leprechaun Using a British character, collect a four leaf clover in a run. Pro Gamer Using a Korean character, score over 40 while minimising your time stood still. It's all about speed. Coconut Water To unlock Coconut Water you first have to buy or unlock the Tourist that was added on the Brazilian update. Then, you must collect approximately 10 coconut cocktails during your run. At the end, you’ll get the Coconut Water. Here's how to unlock all of the mystery mascots in the Pac-Man, Katamari, Spooky, Sporty and Festive categories in Crossy Road. Inky To get Inky, you need to be playing as Pac-Man. Then, get a score of 2500 in the Pac-Man game mode over the course of multiple runs to unlock Inky. Blinky Playing as Pac-Chicken, get crushed by Pac-Man on the road. Pinky Play as Pac-Chicken for Pinky, too. For her, you need to find and gobble a pair of pixel art cherries that appear randomly on the world map. Clyde Getting Clyde involves playing as Pac-Man, grabbing a power pellet, and eating ghosts. Lots of ghosts. Seems like you have to eat seven ghosts from one power pellet. You'll then get Clyde when you next die. 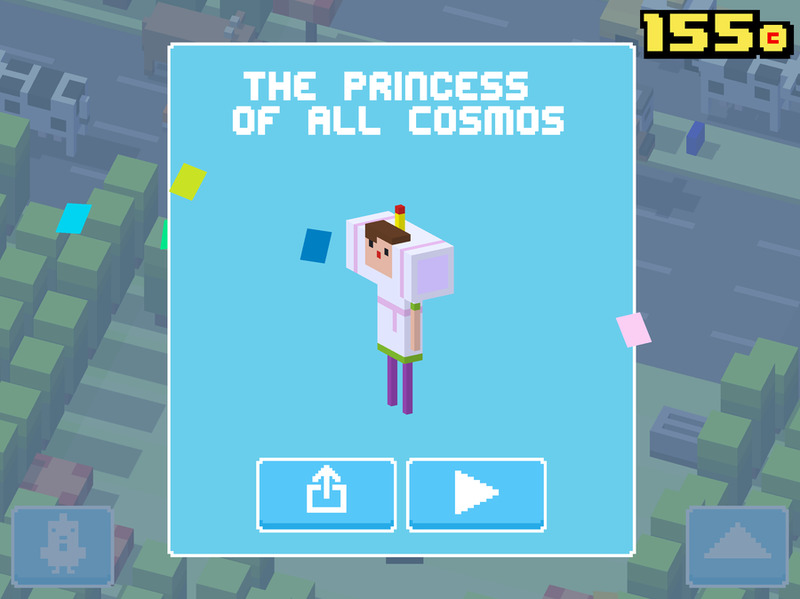 The Princess of All Cosmos While playing as the Prince of all Cosmos, roll up a hefty number of items into your Katamari ball. That means rolling over the little boxes, toasters, teddy bears, chairs, and other trash you see lining the streets. The Queen of All Cosmos As The King of All Cosmos, turn enough items into rainbows with the rainbow that shoots from your mouth. The King of All Cosmos While playing as the Prince of all Cosmos, roll up a hefty number of items into your Katamari ball. That means rolling over the little boxes, toasters, teddy bears, chairs, and other trash you see lining the streets. 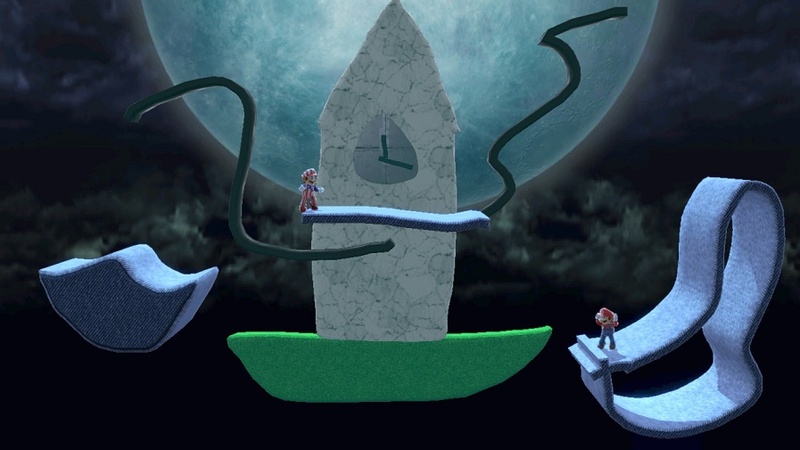 Gingerbread Man Play as Wolf and run into the Gingerbread Man in a run. Clown Play as Hand and obtain roughly 30 coins. Rugby Player As a British character, find a rugby ball in a tree. Gifty We need to get the Festive Chicken for this character. Start hopping along until you hear Christmas bells. Soon after, you'll stumble upon a clearing with a Christmas tree, which showers you with gifts. 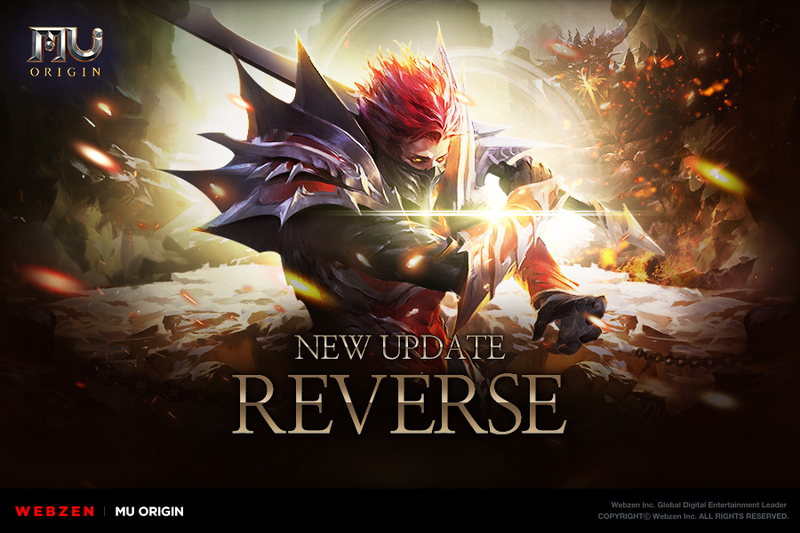 Then, when you next get a game over, you'll receive Gifty for your character list. Yeti As a Festive character, you’ll eventually come across a yeti throwing snowballs. Move into the path of the snowballs and allow yourself to be hit by one. This will kill you and end your run, but also unlock the Yeti. Nearly done now! Here's where you'll find all of the characters in the Arctic, Dinosaur, Space, Ocean and Piffle categories in Crossy Road. Phew! 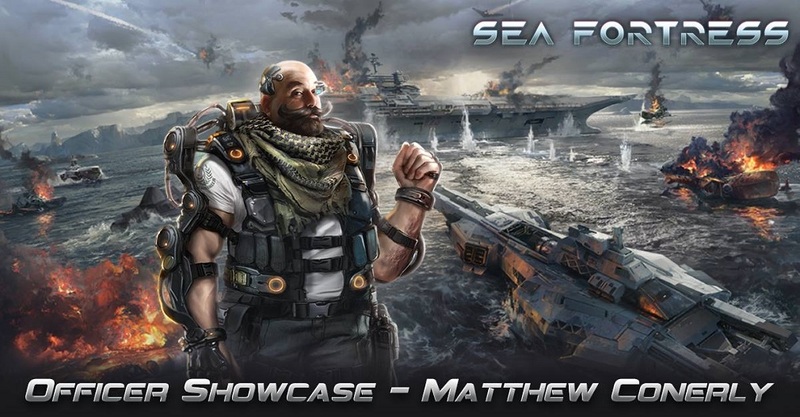 Seal Unlock the Seal by playing as the Polar Bear, and completing all five missions to clean up the arctic. 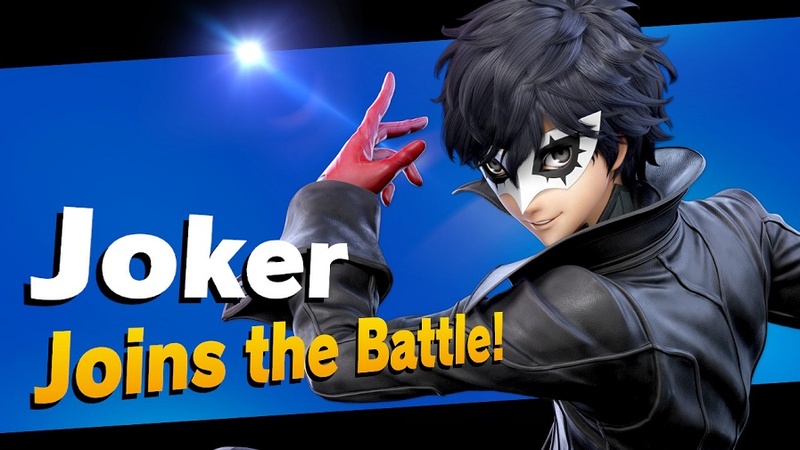 After finishing the final mission, you'll get the Seal for your roster. Iceberg You need to dunk the Puffin, Lost Penguin, Arctic Hare, Arctic Fox, Lemming, Narwhal, Wolverine, Walrus, Polar Bear, and Slippy Penguin in the water to get the iceberg. Bones Playing as the Paleontologist, you'll notice big dino bones laying about on the grass. Pick up all the pieces for a dinosaur - a head, a tail, a rib cage, and a few leg bones - and then die. 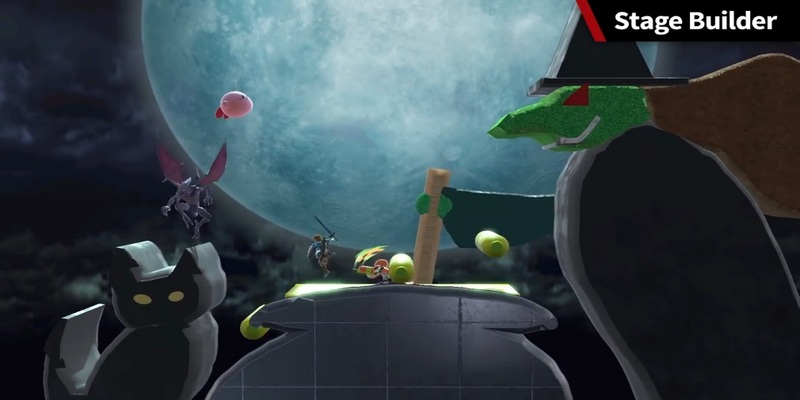 Moon Rock Playing as a Space character, get hit by one of the rocks in the meteor flow. Space Walker As a Space mascot, jump on the Hipster Whale. Robot Dog As a Space character, find a yellow alien. Merlady As a non-Ocean character, fully cross a river, then jump back two logs and fall off the end of a log. Angler Fish As an Ocean character, fully cross a river, then jump back two logs and fall off the end of a log. Waffles Find Waffles while playing as Piffle. Pineapple Run into a food truck which has Pineapple sitting on top. Piffle Ball As a Piffle character, collect all of the different items you find on the ground. Marmalade As a Piffle character, collect exactly one (1) of each of the five different items (donut, floppy disk, sock, dice, ball) in a single run.